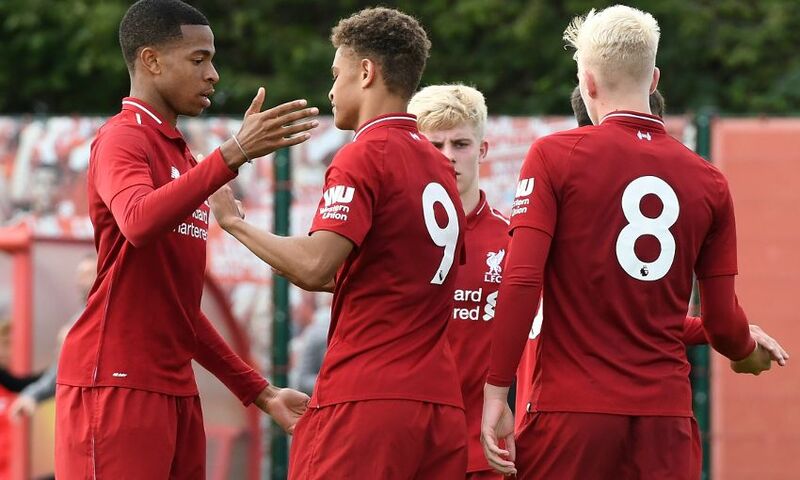 Fidel O'Rourke scored a stoppage-time winner as Liverpool U18s edged out Blackburn Rovers 4-3 in a thrilling away encounter on Saturday. Paul Glatzel and Bobby Duncan continued their prolific opening to the season with another strike apiece to add to an own goal. Barry Lewtas' side made an excellent start to the game and took an early lead when Glatzel's effort was saved but deflected into the net by an unfortunate Blackburn defender. The hosts then overturned their deficit at the beginning of the second half, before Glatzel levelled for the young Reds. The topsy-turvy nature of the encounter continued when Duncan found the net for 3-2 - only for a late equaliser to seemingly give Rovers a share of the spoils. But, O'Rourke, who netted two against Newcastle United last weekend, came off the bench to claim a dramatic fourth and winning goal for Liverpool. Lewtas told Liverpoolfc.com: "It was a really good game and I thought we deserved the victory. "We missed a lot of chances in the first half and failed to capitalise on our 1-0 lead. "Suddenly we found ourselves 2-1 down in the second half and it looked like it was going to be one of those days. "Credit to the boys, though, who showed lots of character and they dug in and never gave up. "The Blackburn goalkeeper was very good and made some excellent saves and, to be fair to them, they gave it a right go in the second half. "It looked like it was going to end up a draw but we pushed hard for the winner and deservedly got it. "I was delighted to see Fidel get the winner. He has worked so hard and it was a nice moment for him. "It is a great end to a good week for us after the win over PSG on Tuesday in the UEFA Youth League." Liverpool U18s: Jaros, N Williams, Larouci, R Williams, Hoever, Clarkson (Clayton), Dixon-Bonner, Cain (Ritaccio), Glatzel (O'Rourke), Duncan, Longstaff.